Reduces and enlarges wedding rings with almost no effort. Geared handle reduces on the downstroke and enlarges on the upstroke. Can be bolted to bench or used as a portable. 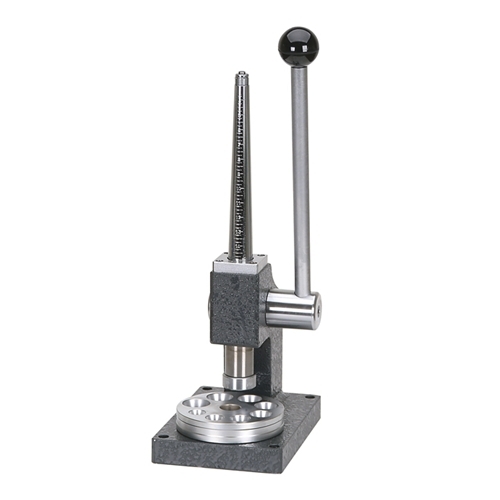 This well-made sizer has 6 splines on the enlarging mandrel and enlarges rings up to size 15. The reducing plate has 8 double-sided openings, smoothly polished to prevent marring. Also available without the reducing plate for use as an enlarger only. Replacement mandrel also available. Made in Italy. Shipping weight: 28 lbs.